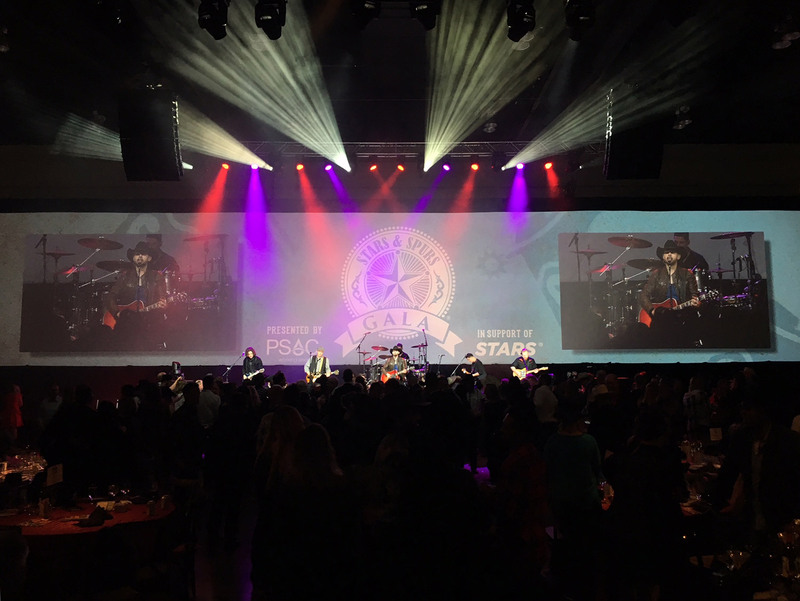 "Twenty-four years strong, the PSAC STARS and Spurs Gala has been bringing together industry leaders to celebrate the hard work and dedication of Albertans with a Western themed night of great food, dancing, and live entertainment. It’s the Way of the West. 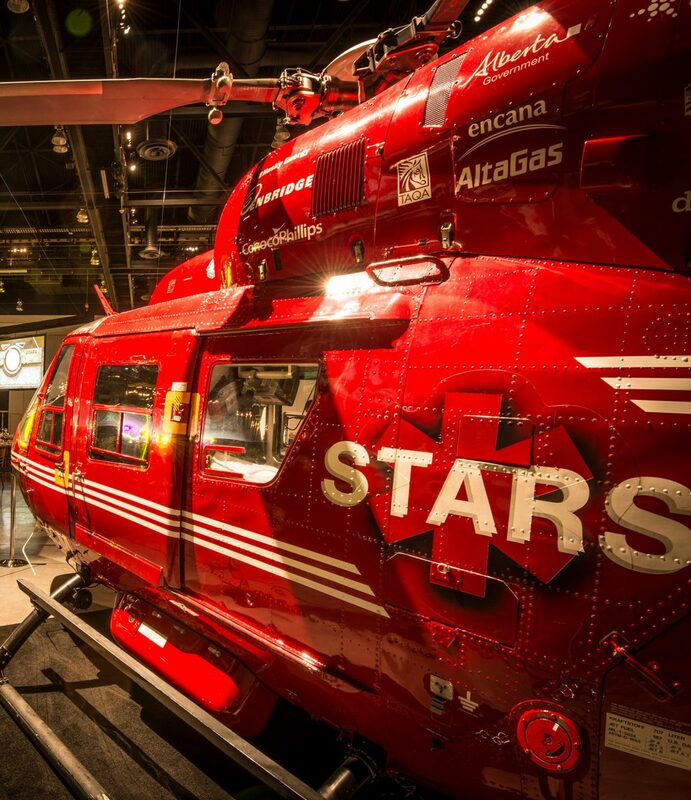 Hosted by the Petroleum Services Association of Canada (PSAC) in support of STARS Air Ambulance." 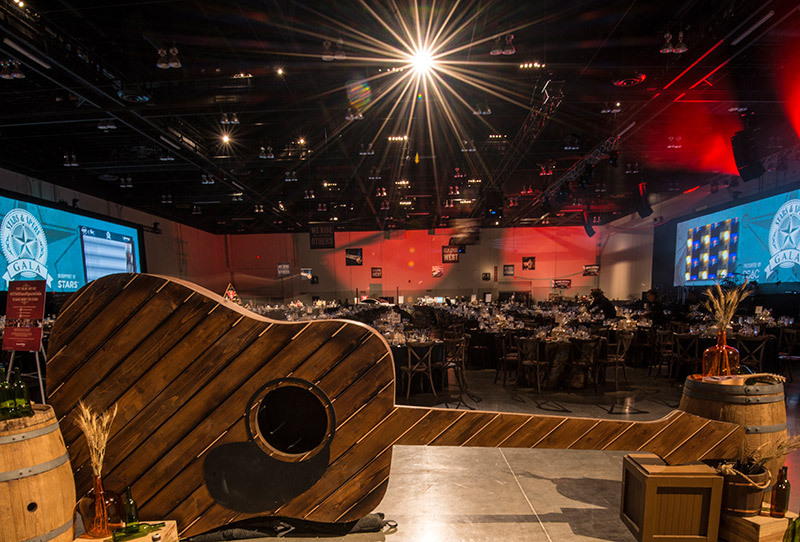 The annual PSAC Stars & Spurs Gala is the longest-running and largest fundraiser in Alberta. 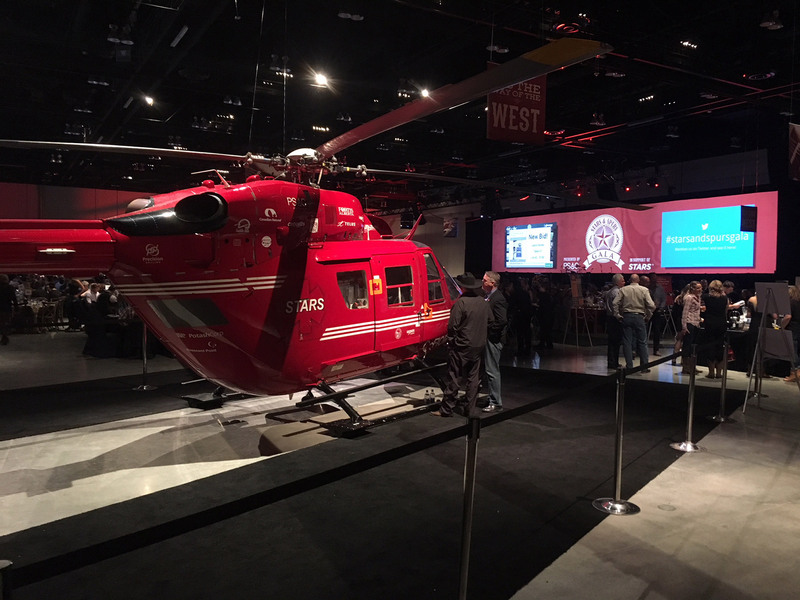 This annual event is hosted by Petroleum Services Association of Canada (PSAC) and has raised over $1.3 million net for the Shock Trauma Air Rescue Society (STARS) Air Ambulance since its inception. 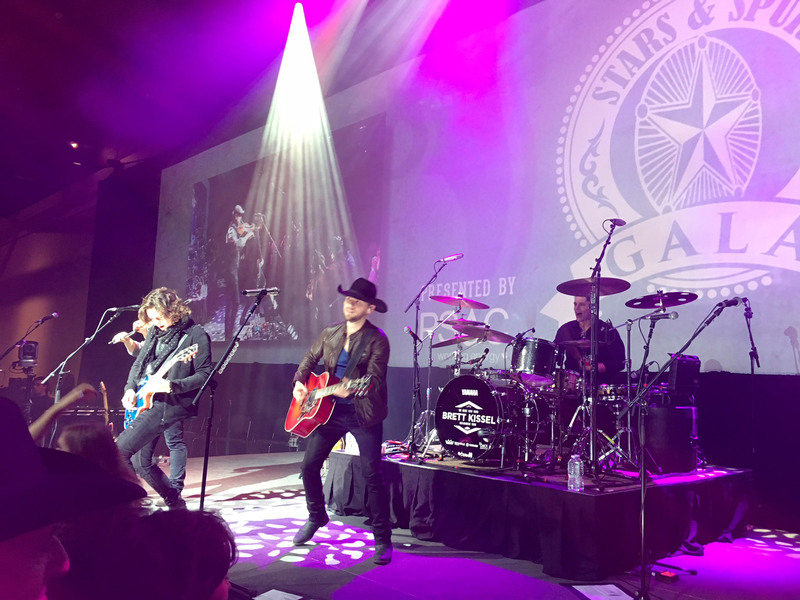 In 2018, the Gala treated over 1230 guests to dinner, a live performance by country music artist Brett Kissel, raffles, live and silent auctions, and of course, dancing. 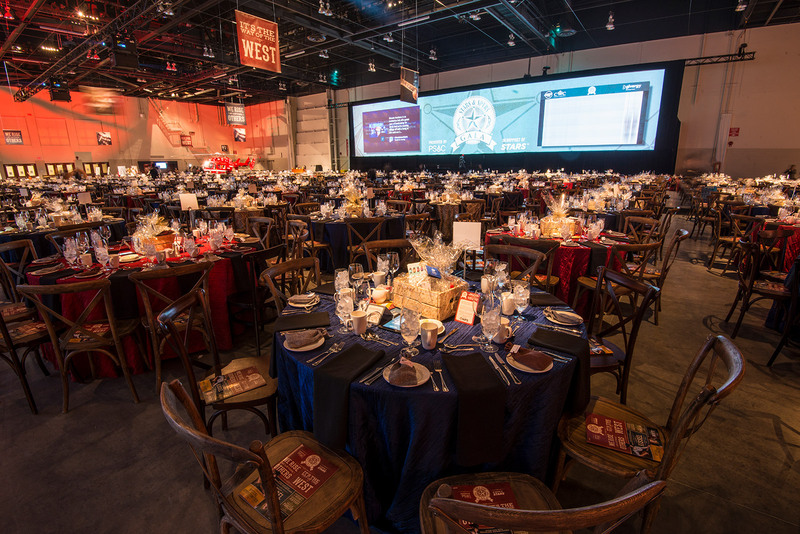 We have worked with STARS and PSAC as designer for this fundraiser since 2014, and each year we set our sights on finding new ways to distinctly represent the Gala’s western roots. 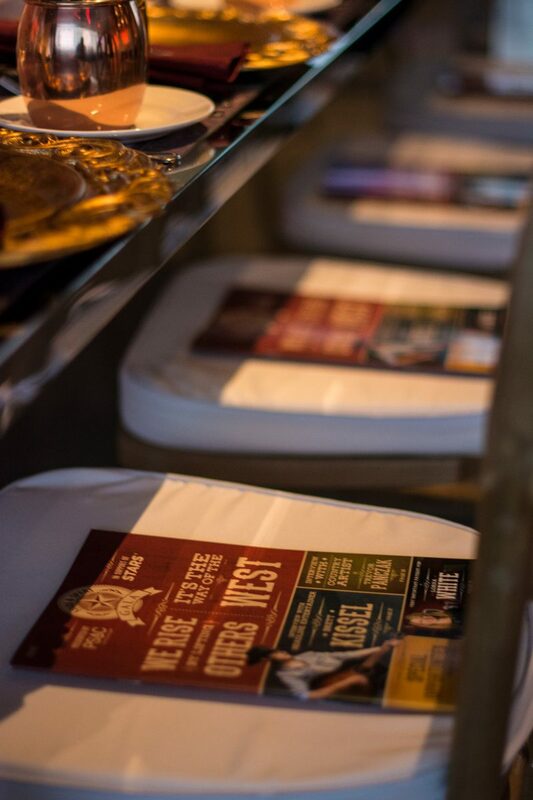 In 2018, our design built on and complimented the committee’s elevated vision and branding for the event, which included the theme of, “We Rise by Lifting Others. 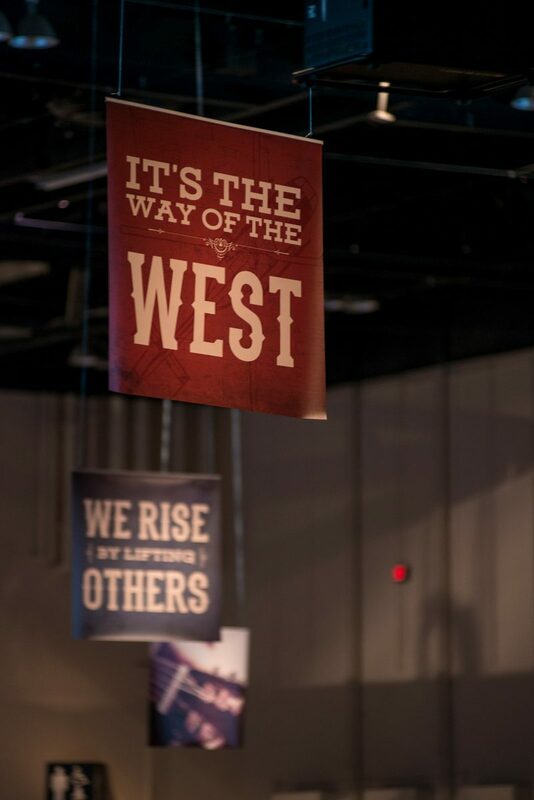 It’s the Way of the West.” We worked closely with our client to capture the Foundation’s theme and remind guests what true western spirit means. 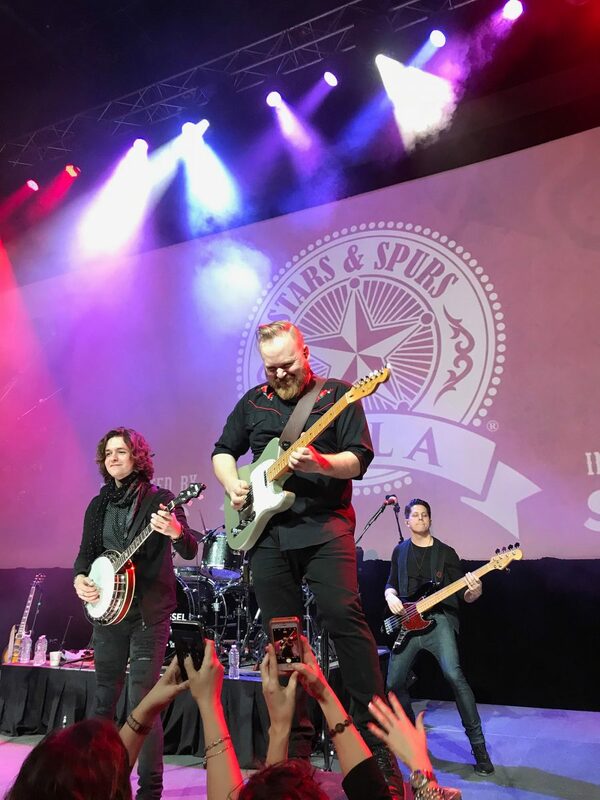 For this year’s iteration, our interpretation of the Gala’s western theme focused on guitars and was tied together with a distressed navy and amber colour palette. 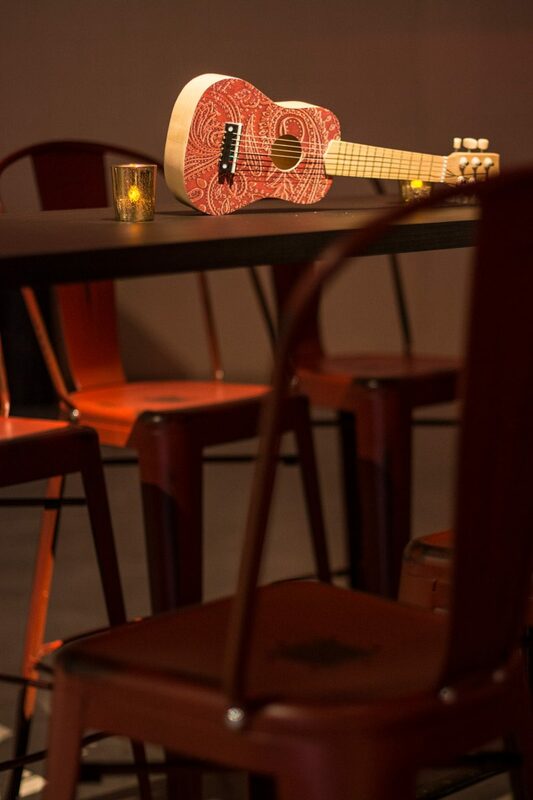 The design theme started at the venue entrance, where an oversized guitar greeted guests with a fun selfie opp and set the tone, and from there the instrument appeared throughout the design at various scales. 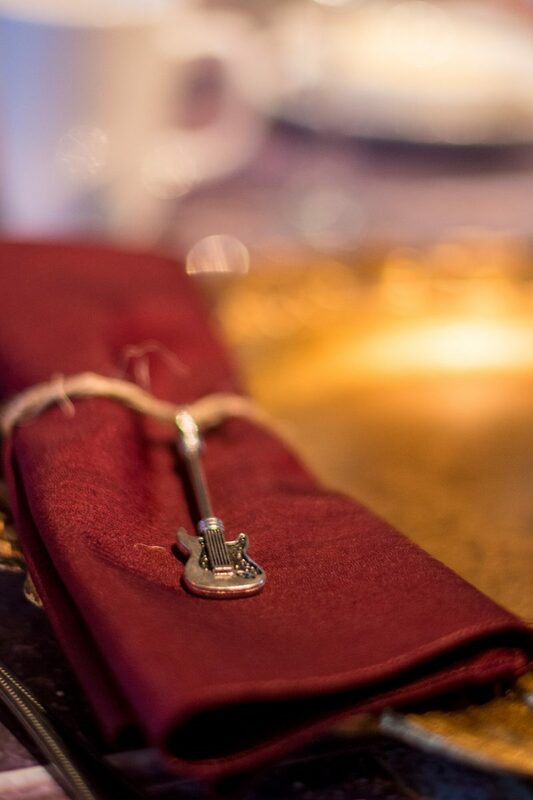 Tables featured small guitars custom-wrapped with vinyl in a tooled leather pattern and tiny metal guitar-shaped napkin ornaments. 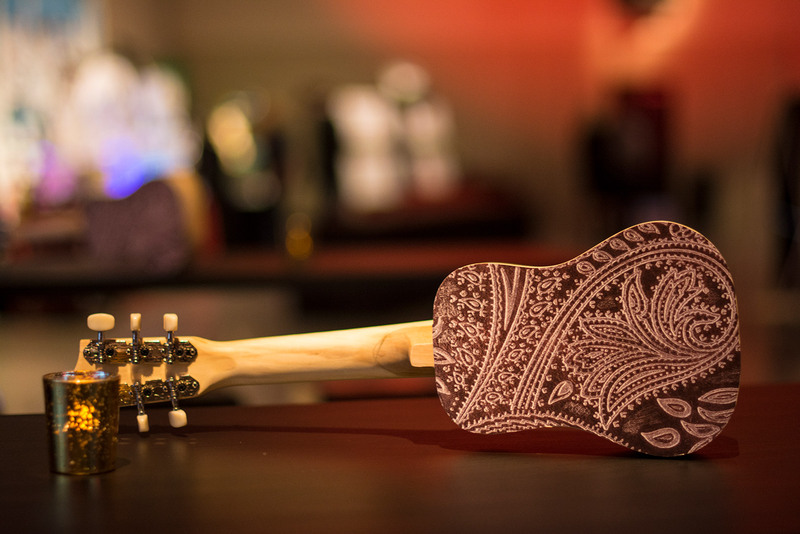 Ceiling banners and VIP tables featured custom-printed guitar designs. 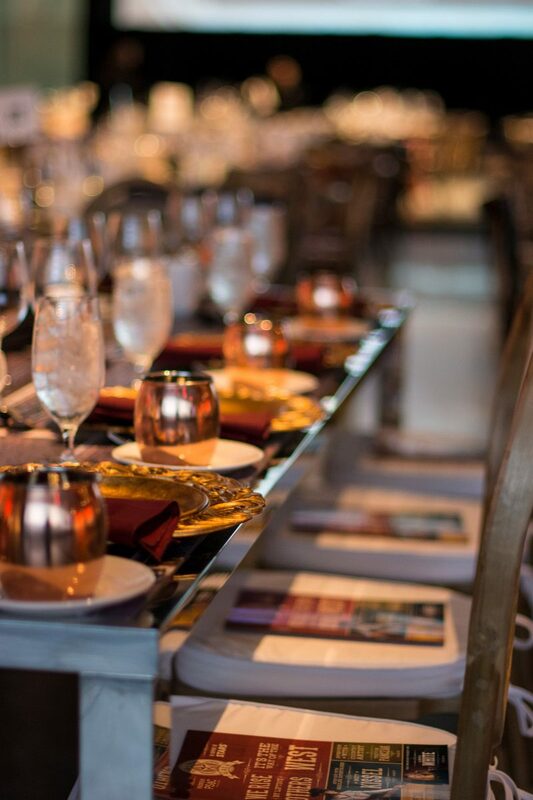 Guests sat down to dinner at tables covered in rich linens of navy and cherry taffeta, copper zion, and static jacquard, paired with rustic wooden tuscan chairs. 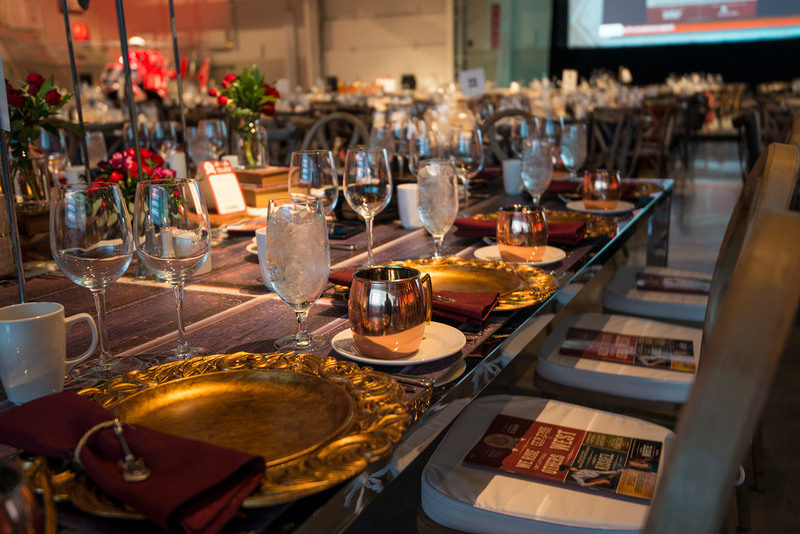 The four VIP tables made a particularly dramatic impact with a mix of gold, copper, silver, and glassware. 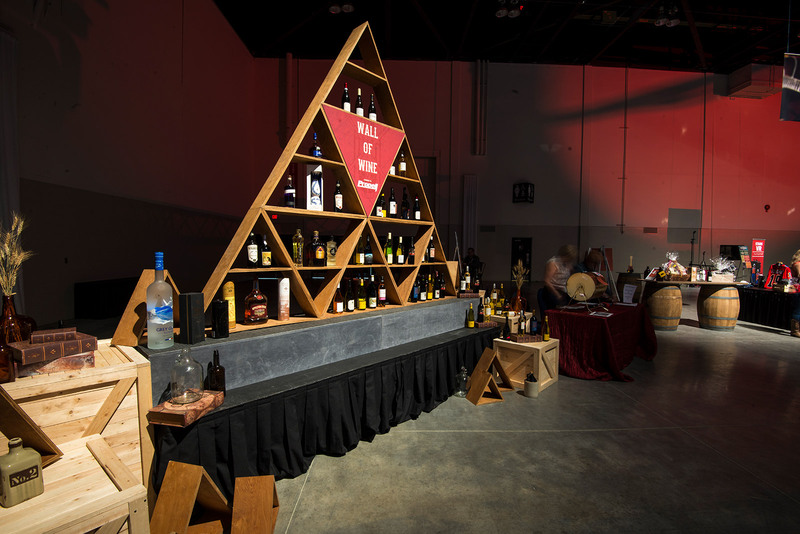 Enhanced décor around the fundraising activations like “Wall of Wine,” “Stock Your Spirits,” and silent auctions drew guests to these areas and fostered both mingling and engagement, and ultimately encouraged financial contributions. Rounding out the design was a full-sized STARS helicopter. 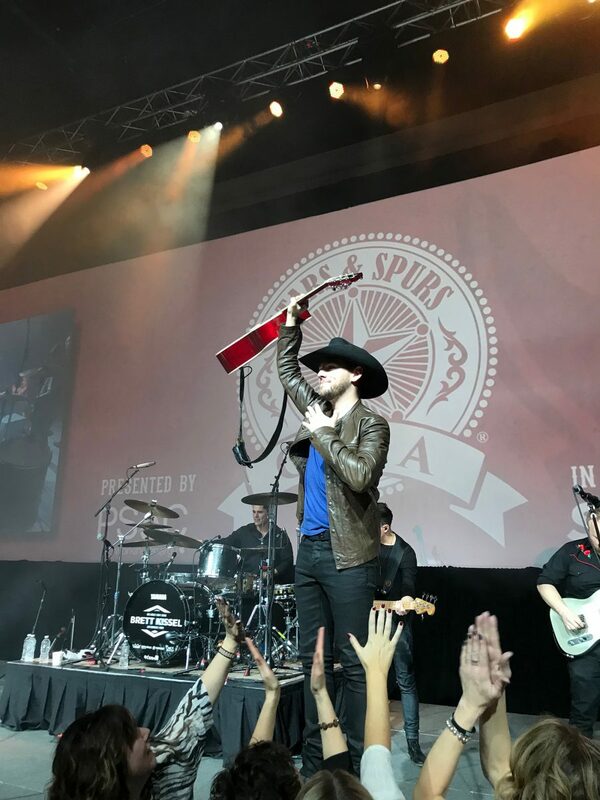 The 2018 Stars & Spurs Gala was the perfect reminder that western spirit is about community – a community that is ready to pull on our boots and help our neighbours through the toughest of times, just as STARS is always there to respond in assistance of Alberta residents. 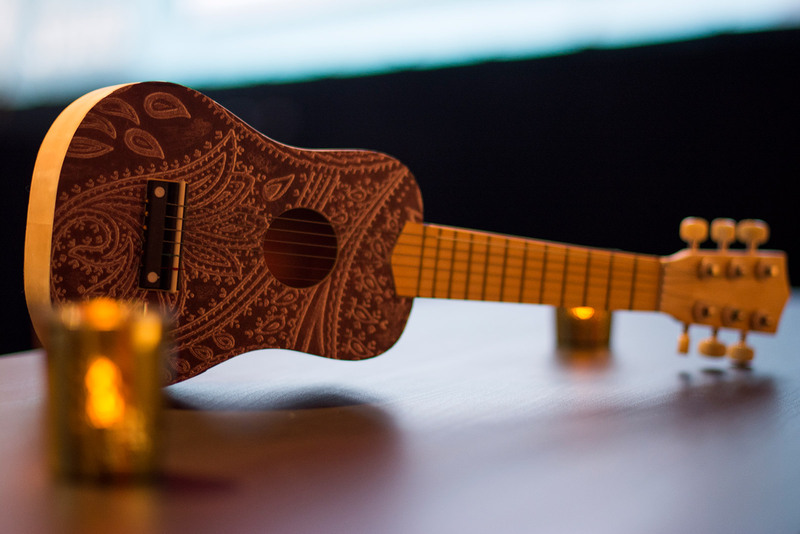 From the entrance focal to graphic banners, centrepieces, and tablescapes, the guitar-driven design directly complimented the event branding, marketing, and screen content. The design delighted guests while maximizing budget, and resulted in a successful evening that raised $1.3 million net for STARS – the most successful fundraiser of the past four years.